Marifer Blog: Europe 2015, Recommendations? We are heading to Europe soon. I am so excited for the cities we picked. 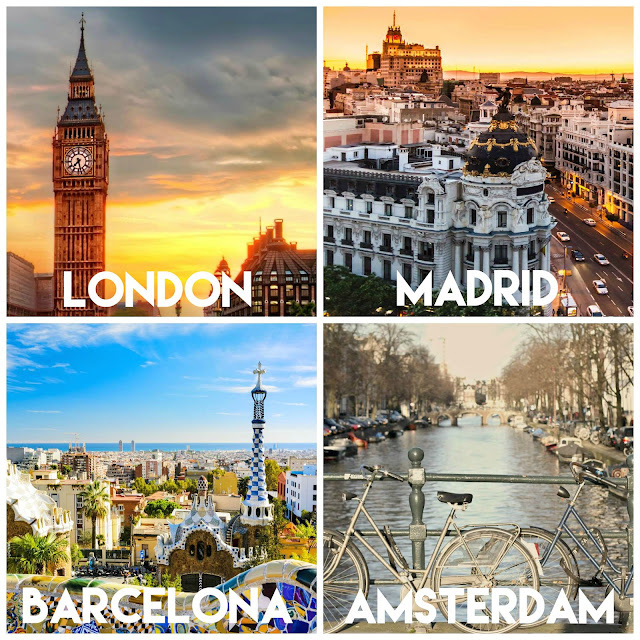 We have done some planning but If you have been to any of the places, let me know your recommendations for thing to do, eat, drink or shop in London, Madrid, Barcelona and Amsterdam.